In Part 1, GHA Contributor Neha Ahmed called attention to the multitude of health hazards child gold miners faced in Tanzania. In Part 2, Neha explores viable solutions that could possibly eliminate child labor in Africa. June 12 commemorates World Day Against Child Labor, which was first launched in 2002 by the International Labour Organization (ILO) to draw attention to the practice of child labor around the world. The eradication of all forms of child labor has been a major aim of the ILO since its inception in 1919. Yet, the 2014 UN report on the State of the World’s Children acknowledges that more than fifteen percent of the world’s children are currently engaged in child labor. This translates into one in every 6 children in the world today being involved in some form of work. 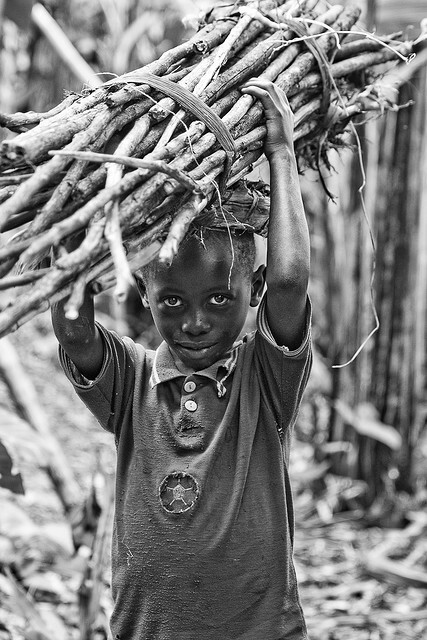 Although child labor is thoroughly global and affects every part of the world, Sub-Saharan Africa continues to be the region with the highest proportion of children engaged in child labor, with over 21% of the child population or 51 million children, still doing work that meets the definition of child labor. Although there has been a drop in the prevalence of child labor since the early 1990s, the world remains far from the goal of eliminating child labor. The phenomenon of child labor in Africa is complex and is closely linked to poverty, inequality and global economic forces. The need to make ends meet forces children to seek work, often at the expense of their education as well as their health. The prevalence of child labor differs significantly between countries in Africa, as shown in the table below. There are also major differences in the conditions and pathways that are thought to lead to child labor as well as the kinds of work children are engaged in. In many parts of Sub-Saharan Africa, increases in poverty and the devastating effects of HIV/AIDS have led to more children being pushed into the workforce. In Kenya, for instance, children are engaged in some of the worst forms of child labor, including working in mines, tea plantations, construction and as domestic servants. There are reports that children are used to traffic drugs and weapons. Children are also especially vulnerable to human trafficking and all forms of abuse. It is estimated that up to 18,000 children in Kenya are engaged in commercial sexual exploitation. In countries such as Somalia, which continue to experience conflict, children are often systematically conscripted for armed groups and militias. Child labor in Egypt, on the other hand, appears to be concentrated in the agricultural sector, where children may have to work long hours and be exposed to hazardous chemicals and pesticides. The last few years have seen some progress towards eliminating child labor, particularly in its worst forms. However, the recent global economic crisis is thought to have had a detrimental effect on child labor. By increasing unemployment and pushing more families into poverty, the economic downturn forced children to turn to work in order to assist their households. Although the enforcement of labor laws and the creation of policy initiatives are an important aspect of addressing the problem of child labor, there is considerable skepticism that these factors alone will improve the lives of children. Given that complex global economic forces shape the lived reality of populations around the world, the elimination of child labor must be tied to more fundamental changes to global trade relations and the distribution of wealth. Click here to access data on child labor in African countries.